Draft: 2006, Pittsburgh Pirates, 4th rd. One of the Major Leagues' most reliable relievers has posted a sterling 2.69 ERA over 452 career apps for the Pirates, Brewers and Reds...his 345 apps over the last 5 seasons (2014-2018) are seventh-most in the majors (Bryan Shaw 1st, 369g)...over the last 7 years beginning in 2012, his first full Major League season, his 2.66 ERA ranks fourth-best among all pitchers who made at least 440 apps (Craig Kimbrel 1.94, Kenley Jansen 2.21, Tony Watson 2.56)...also from 2012-2018, among all relievers ranks T2nd with 65 GIDPs induced (Brad Ziegler 86, Jim Johnson 65) and 10th with a ground ball rate of 62.0%...since his Major League debut in 2011 has thrown 826 ground balls, third-most by any pitcher in that span (Brad Ziegler 1101, Jim Johnson 930)...is the only pitcher in Reds history to produce an ERA below 2.00 (1.94) while making more than 70 apps (72)...began the 2018 season with 55 apps without allowing more than 1 run, the longest single-season consecutive games streak by any pitcher in Reds history...in 2018 voting of the local chapter of the Baseball Writers' Association of America, received the Johnny Vander Meer Award as the Reds' Most Outstanding Pitcher and the Joe Nuxhall Good Guy Award...in both 2015 and 2016 received the Chuck Tanner Award, presented annually by the Pittsburgh chapter of the BBWAA to the Pirates player most cooperative with the media...also in 2016 was the Pirates' nominee for the Roberto Clemente Award for representing baseball on and off the field through extraordinary character, community involvement, philanthropy and positive contributions...helped anchor the Pirates' bullpen during their 3-year Postseason run from 2013-2015...pitched more than 1.0 inning in 7 of his 11 Major League saves. Was born in Connecticut but moved to California when he was a child...in 2003 graduated from Santa Margarita (CA) High School...in 2004 pitched for Santa Clara University before transferring to Long Beach State University, where he was a teammate of Evan Longoria and Troy Tulowitzki...went 16-7 in his 2 seasons at Long Beach State (2005-2006)...was second-team All-Big West in 2005 and honorable mention All-Big West in 2006...was 1 of 3 Long Beach State players selected on the first day of the June 2006 first-year player draft, joining Longoria (by TB in 1st round) and Andrew Carpenter (by Phi in 2nd round)...in 2005 was a Baseball America second-team summer All-American after he went 7-0, 1.62 in the Cape Cod League...wife's name is Kelly...they have a son, Will...follow on Twitter @locatejared. In voting of the local chapter of the BBWAA, received the Johnny Vander Meer Award as the Reds' Most Outstanding Pitcher and the Joe Nuxhall Good Guy Award...led the pitching staff in apps, tied for 12th-most in the National League...his 1.94 ERA was the lowest of his career and fourth-best in the Major Leagues among all pitchers who threw at least 78.0 innings (Oak's Blake Treinen 0.78, NYM's Jacob deGrom 1.70, TB's Blake Snell 1.89)...became the first pitcher in franchise history to produce an ERA below 2.00 while making more than 70 apps and only the fourth Reds pitcher with an ERA below 2.00 in 70 apps or fewer...LHP John Franco (1988), RHP Doug Bair (1978) and RHP Ted Abernathy (1967) each produced an ERA below 2.00 in exactly 70 apps...following 2.0 scoreless innings on 5/4 vs Mia that dropped his ERA from 2.12 to 1.89, his season ERA stayed below 2.00 following all but 2 apps the rest of the season (2.04 on 9/20, 2.01 on 9/23)...finished the season with 4 scoreless apps (3.2ip) to drop his ERA from 2.04 to its final 1.94...began the season with 55 apps without allowing more than 1 run, the longest single-season consecutive games streak by any pitcher in Reds history and the longest single-season streak by any pitcher in the Major Leagues since Cle's Andrew Miller produced a 57-game streak from 4/7-9/3, 2016...didn't allow more than 1 run in a game until his 56th appearance, 8/20 at Mil (0.2ip, 2r)...the previous franchise single-season record for consecutive apps without allowing more than 1 run was 46, shared by Jeff Shaw (1997) and Manny Parra (2013)...until 8/20 at Mil, Hughes hadn't allowed more than 1 run in a game since 7/26/17 for Mil at Wsh (0.1ip, 4r) and posted a 1.32 ERA during that 78-game streak...through 6/13, his ERA was a season-best 0.99 through 31 apps (36.1ip, 4er)...recorded 7 saves, his single-season career high...5 of his 7 saves required more than 3 outs...16 times threw more than 1.0 inning, 8 times pitched at least 2.0 innings and on 4/24 vs Atl threw a season-high 2.2 innings (2h, 0r, 0bb, 2k)...induced 13 GIDP, just 2 behind Major League leader Brian Flynn of the Royals...the Reds went 36-36 in games in which he pitched...18 times pitched on consecutive days, tying Raisel Iglesias for the staff high, and 4 times pitched on 3 consecutive days (4/9-4/11, 5/22-5/24, 8/28-8/30, 9/8-9/10)...never has pitched on 4 consecutive days...on 4/24 vs Atl threw 2.2 scoreless innings to earn his first victory as a Red...was his longest outing since 7/9/16 for Pit vs Cubs (career-high 3ip)...his 42 pitches were 6 shy of his career high...in the eighth inning on 5/12 at LAD made his 400th Major League appearance...produced 5 outs in 4 batters for the fifth save of his career, his first of the season...in the 5-4 win on 5/24 vs Pit and the 6-5 win on 5/26, for the first time in his career produced saves in consecutive apps..from 5/4-6/17 produced scoreless streaks of 15 apps and 19.2 innings, both career highs and both the longest by a Reds pitcher in 2018...those streaks were snapped at Pit on 6/17, when he was charged with a run scored off Raisel Iglesias...from 5/14-5/16 retired a season-high 16 consecutive batters...threw 35.1 homerless innings between Yadier Molina's solo HR on 4/21 at StL and Avisail García's solo HR on 7/2 vs WSox...from 8/20-8/28 allowed at least 1 run in a career-high 3 straight apps for only the second time (8/4-8/9, 2012)...on 8/25 at Cubs (Daniel Murphy solo) & 8/28 vs Mil (Christian Yelich 2-run), allowed HR in consecutive apps for only the second time in his career (2g, 8/7-8/9, 2012). On 3/31 was released by the Pirates...2 days later was signed by the Brewers and posted a sterling 3.02 ERA in 67 relief apps...opponents hit just .231...his 67 apps ranked T24th in the National League...in the Brewers' 7-4 win on 5/12 vs NYM earned his only save of the season, the fourth of his career...posted a 0.63 ERA in his last 19 apps of the season (14.1ip, 1er), including 13 scoreless apps in September...following the season was eligible for arbitration but was non-tendered and became a free agent...on 12/26 was signed by the Reds to a 2-year contract through the 2019 season with a club option for 2020. Began season on the 15-day disabled list with a left latissimus muscle strain...Spent the first two weeks of the regular season in Extended Spring Training program...Began rehab assignment with Triple-A Indianapolis on 4/20...Made four rehab appearances with Indy, making his last outing on 4/27 at Norfolk...Was recalled from his Triple-A rehab assignment on 4/29 and reinstated from the D.L. on 4/30...Made his season debut with the Pirates on 5/1 vs. Cincinnati and was charged with one unearned run in 1.0ip...Inherited three runners on 5/24 vs. Arizona and threw one pitch to record the final out of the inning.... Suffered lone loss with the Pirates on 6/22 vs. San Francisco... Recorded a 3.0-inning save on 7/9 vs. Chicago (43 pitches); his third career save and the first 3.0-inning save for a Pirates pitcher since Ryan Reid on 6/28/13 ...Also struck out as a batter on 7/9...Produced a 0.77 ERA (11.2ip/1er) in 11 appearances during the month of July.. Made his 300th career appearance on 9/6 vs. St. Louis...Won his lone game on 9/20 at Milwaukee...Recorded a 1.80 ERA (20.0ip/4er) in his final 23 appearances, beginning with the action on 8/19...Ranked ninth among National League relief pitchers with 46 inherited runners...Was the recipient of the Chuck Tanner Award which is presented by the Pittsburgh chapter of the BBWAA to the player who is the most cooperative with the local media. 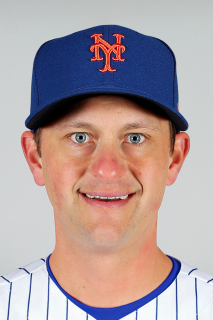 Spent first full season in the Majors and posted a career high in appearances...Tied for fifth among National League pitchers in games; tied for second among right-handed pitchers...Inherited a team-high 56 baserunners, which was tied for the fourth-highest total in the N.L., and 16.1% scored (also tied for the fourth-best mark in the league)...Produced a 1.61 ERA (44.2ip/8er) in his last 50 games, dating back to 6/3...Was charged with an earned run in just 12 of his 76 appearances...Posted a 1.59 ERA (34.0ip/6er) in 40 games at PNC Park...Was a member of Pittsburgh's Opening Day roster for the third time in his career (also 2012 and 2013)...Had a sacrifice bunt in his only plate appearance of the season (sixth career) on 4/19 at Milwaukee... Suffered his only loss on 5/2 at St. Louis....Threw three pitches and recorded one out while picking up first win on 5/10 vs. St. Louis...Threw a career-high 48 pitches in 2.0 innings on 5/15 at Chicago (NL)...Appeared in his 200th career game on 6/9 vs. Milwaukee...Made a career-high 15 consecutive scoreless outings (14.2ip) from 6/12 thru 7/17...Finished the season making 11 straight scoreless appearances (8.1ip) and tied career high with three consecutive winning decisions from 5/10 thru 9/13...Was on the postseason roster, but did not make an appearance in the Wild Card Game...Was the recipient of the Chuck Tanner Award which is presented by the Pittsburgh chapter of the BBWAA to the player who is the most cooperative with the local media. Posted a career-best ERA and established Major League career high in wins...Produced a 1.15 ERA (31.1ip/4er) in 34 games on the road; a 0.44 ERA (20.2ip/1er) in his last 24 road games...Stranded 30 of his team-high 37 inherited runners...Entered six games with the bases loaded and allowed just five of those 18 inherited runners to score...Began season with Triple-A Indianapolis and picked up the win in his season debut on 4/4 at Columbus...Recorded a save in three straight appearances from 4/8-12... Did not allow a run in his first five games thru 4/17 (6.0ip)...Was recalled by Pittsburgh on 4/21 and picked up the win that night vs. Cincinnati... Was optioned back to Indy on 4/24 and posted his fourth save that night at Toledo...Was recalled by Pirates on 4/26 when Russell Martin went on the disabled list....Pitched 1.1 scoreless innings on 4/26 at St. Louis...Was optioned to Triple-A on 4/27...Was recalled a third and final time on 5/3... Gave up an unearned run in the 13th inning and suffered loss in 11-10 setback vs. San Francisco on 5/5...Picked up win on 5/10 vs. St. Louis; entered game with bases loaded in the fifth inning and retired each of the four batters he faced...Also grounded out in plate appearance on 5/10...Notched his third win with a scoreless frame on 5/24 vs. Washington...Made nine straight scoreless appearances from 5/23 thru 6/7 (7.1ip)...Pitched 2.0 scoreless frames and picked up his fourth win on 6/27 vs. New York (NL)...Posted a 0.68 ERA (13.1ip/2r/1er) in 13 games during the month of July and went 3-0 with a 1.33 ERA (20.1ip/4r/3er) in 20 appearances from 6/19 to 8/3...Made seven straight scoreless outings from 8/9-23 (8.0ip)...Allowed his three inherited runners to score and suffered a blown save on 8/17 at Washington...Struck out in his second and final plate appearance on 8/23 at Milwaukee...Posted a 1.17 ERA (7.2ip/1er) in 10 games during the month of September...Was charged with just six earned runs in his last 35 games and 33.2 innings of work (1.60 ERA), dating back to 7/3...Pitched 1.0 inning in the Wild Card Game vs. San Francisco on 10/1; stranded his two inherited runners in the sixth inning before being charged with two runs the following frame. Was a member of Pittsburgh's Opening Day roster for the second straight season...Was scored upon once in his first six appearances thru 4/13 (5.1ip); surrendered two-run homer to Nate Schierholtz in second game on 4/4 vs. Chicago...Picked up first win on 4/14 vs. Cincinnati...Surrendered a two-run homer to pinch hitter Evan Gattis in eighth inning and suffered loss vs. Atlanta on 4/18...Pitched season-high 2.2 innings (0r) on 4/26 at St. Louis...Was optioned to Triple-A Indianapolis on 5/3...Posted a 0.00 ERA (6.2ip) and one save (5/10 vs. Toledo) in six relief appearances before being recalled by Pittsburgh on 5/17 (Jose Contreras on Bereavement List)...Was optioned back to Indy on 5/21 without appearing in a big league game...Picked up second save on 5/24 at Buffalo...Made five appearances with Indianapolis (6.1ip/1er) from 5/23 thru 6/1...Was recalled by the Pirates a third time on 6/3 and tossed a scoreless inning that night at Atlanta...Was charged with two runs in 1.2ip at Atlanta on 6/5...Was placed on the 15-day disabled list on 6/8 (retro to 6/6) with right shoulder inflammation...Made a rehab appearance with Indianapolis on 7/14 (1.0ip/0r) and with Double-A Altoona on 7/17 (2.0ip/0r)...Had rehab transferred back to Indy on 7/20 and made six more appearances (7.0ip/0r) thru 8/1...Was recalled from rehab and reinstated from D.L. on 8/2...Matched season high with 2.2ip on 8/9 at Colorado...Was optioned to Altoona on 8/31, but did not appear in a game before being recalled by the Pirates on 9/3...Gave up a season-high three runs in 1.0ip on 9/6 at St. Louis...Was scored upon once in his his last three games (4.1ip/1er)...Struck out in each of his two plate appearances with Pittsburgh. Was a member of the Opening Day roster - the only rookie pitcher to make the team out of spring training...Led all National League rookie relief pitchers in ERA and ranked second in appearancesand innings pitched...Was not charged with a run in 50 of his 66 appearances...Pitched a season-high 3.0 innings on 4/20 vs. St. Louis...Made five appearances (8.2ip/5r/2er) before being optionedto Triple-A Indianapolis on 4/21...Was recalled as the 26th man for the doubleheader vs. Colorado on 4/25 (the first player ever used in this circumstance under the new MLBPA rules for DH's)...Wasoptioned back to Indy following the doubleheader on 4/25...Was recalled on 5/1...Made 10 straight scoreless appearances (11.2ip) between 5/3-25...Picked up first Major League win on 5/21 vs.New York (NL)...Tossed 2.1 scoreless innings and picked up second win on 6/9 vs. Kansas City...Was scored upon just once in 13 games between 6/30 and 8/1 (13.0ip/1er)...Was optioned to Triple-A on 8/12 when Juan Cruz came off the D.L...Was recalled on 8/16 when Chad Qualls went on Bereavement List and remained with Pittsburgh for the rest of the season...Pitched 2.1 scorelessinnings at St. Louis on 8/18...Was charged with an earned run just once in a 13-game stretch from 8/11 to 9/12 (16.2ip); gave up three runs in 0.1ip on 8/24 vs. Milwaukee...Surrendered a threerunhomer to Starlin Castro at Wrigley Field on 9/14 and suffered a blown save and a loss while giving up a grand slam to Anthony Rizzo in Chicago two days later...Finished the season makingfour consecutive scoreless outings (4.0ip)...Picked up his second career save on 10/1 vs. Atlanta to preserve Jeff Locke's first Major League win...Went 2-for-4 in save situations and allowed 10 ofhis 38 inherited runners to score (eight of his last nine)...Struck out against Ian Kennedy while making his first career plate appearance on 4/17 at Arizona. Went 6-5 with a 3.28 ERA (104.1ip/38er) in 48 appearances (11 starts)between Double-A Altoona and Triple-A Indianapolis...Began season with Altoona and was used as astarter in 11 of his 13 outings...Struck out two of the three batters he faced in a perfect inning of reliefon Opening Day at Erie on 4/7...Moved into the starting rotation on 4/10...Worked 5.0 shutout inningson 4/27 at Harrisburg and left with the lead, but came away with a no-decision...Tossed a seasonhightying 7.0 innings while picking up first win on 5/8 at Richmond...Won three straight starts from5/8-19...Made final appearance with Altoona out of the bullpen on 6/8...Was promoted to Indianapolison 6/10 and was used exclusively in relief...Allowed one run in 0.2ip while making Triple-A debuton 6/10 before making six straight scoreless appearances (6.2ip)...Picked up first win with Indy on7/2 at Toledo...Won back-to-back appearances on 8/6 and 8/8...Was scored upon once in final 13appearances (13.1ip/1er)...Was selected by Pittsburgh on 9/6 and tossed 1.1 scoreless innings inhis Major League debut on 9/7 vs. Houston...Did not allow a run in first eight appearances (8.0ip)...Suffered lone loss on 9/27 in Milwaukee...Did not receive a plate appearance with the Pirates. Spent entire season with Eastern League Champion Altoona...Tied for the second-most wins in the league and his 12 winswere the third-most in a single season in club history...Tied for first among all Pittsburgh minor leaguers in wins...Led league in wildpitches...Went 3-0 with a 2.96 ERA (24.1ip/8er) in seven relief appearances and 9-8 with a 4.70 ERA (126.1ip/66er) in his 23 starts...Began season in starting rotation and won each of his first three starts...Tossed 5.0 innings of no-hit ball on 4/20 against Akron...Tossed 4.1 innings in his first relief appearance on 5/5 at Richmond...Was the first player in all of minor league baseball to record sevenwins; doing so on 5/15...Was named the Eastern League Pitcher-of-the-Week for the week of 5/10-17...Lost four straight decisionsfrom 6/29 thru 7/20...Snapped streak with a win on 7/25 after pitching 5.0 scoreless innings of relief...Pitched at least 2.1 innings inall seven of his relief outings...Did not allow a run in 8.1 innings of relief during the post season. Began season in Altoona's starting rotation and posted a 1.91 ERA (28.1ip/6er) in his seven starts thru 5/16...Was placedon the disabled list with right elbow tendinitis on 5/17...Made three rehab starts with the GCL Pirates between 7/27 and 8/1 beforebeing reinstated...Returned to Altoona on 8/5 and made final appearances in relief...Retired the one batter he faced and picked up firstprofessional save on 8/23 at Bowie...Pitched 2.0 innings and earned a save in his next outing on 8/25 vs. Trenton...Notched third andfinal save in last appearance on 9/7 at Binghamton. Went 5-11 with a 4.70 ERA in 27 combined starts between Class-A Lynchburg and Altoona...Led Carolina League in wildpitches...Lost his first three starts with Lynchburg and seven of his first eight decisions...Was promoted to Altoona for a spot-start on7/10 at Trenton and suffered the loss (5.0ip/5h/4r/4er/4bb/1so)...Returned to Lynchburg on 7/11 and went 1-2 with a 5.31 ERA in hislast four starts with the Hillcats...Was moved up to Altoona for good on 8/5 and earned his first Double-A victory that night vs. Akron(6.0ip/6h/1r/1er/3bb/6so)...Picked up his other win with the Curve on 8/16 at New Hampshire...Participated in the Arizona Fall Leagueand went 0-3 with a 10.62 ERA (20.1ip/32h/28r/24er/8bb/15so) in eight starts with Scottsdale. Spent entire season with Class-A Hickory...Ranked 29th among Pittsburgh's top 30 prospects by Baseball America prior tothe season...Established minor league career highs in starts and led all Bucco farmhands in strikeouts...Was the Opening Day starterand winner (5.0ip/0r) on 4/5 at Hagerstown...Surrendered just one earned run in 19.0 innings while winning three straight decisionsfrom 6/5-15...Posted a 3.20 ERA in 13 starts prior to the South Atlantic League All-Star Game...Pitched a season-high 8.0 innings andwhiffed a season-high eight batters in a no-decision vs. Greensboro on 7/7...Tied season high with eight K's on 8/15 at Columbus....Started the third and deciding game of the divisional playoff series vs. West Virginia on 9/8; gave up five runs in 2.0ip in Hickory's9-4 loss. Went 6-6 with a 4.79 ERA in 15 starts during his first professional season...Made his professional debut as the Opening Daystarter with Williamsport (Rookie) on 6/20 and received a no-decision (4.0ip/1h/1r/1er/1bb/1so)...Pitched 11.0 consecutive scorelessinnings in back-to-back starts on 6/30 and 7/5...Picked up first pro win on 7/5 at Batavia, giving up one hit in 6.0 scoreless frames...Was promoted to Hickory on 7/15, where he was victorious in his first start on 7/15 vs. Delmarva. December 26, 2017 Cincinnati Reds signed free agent RHP Jared Hughes. December 1, 2017 RHP Jared Hughes elected free agency. April 2, 2017 Milwaukee Brewers signed free agent RHP Jared Hughes. March 29, 2017 Pittsburgh Pirates released RHP Jared Hughes. April 30, 2016 Pittsburgh Pirates activated RHP Jared Hughes from the 15-day disabled list. April 20, 2016 Pittsburgh Pirates sent RHP Jared Hughes on a rehab assignment to Indianapolis Indians. May 3, 2014 Pittsburgh Pirates recalled RHP Jared Hughes from Indianapolis Indians. April 27, 2014 Pittsburgh Pirates optioned RHP Jared Hughes to Indianapolis Indians. April 26, 2014 Pittsburgh Pirates recalled Jared Hughes from Indianapolis Indians. April 24, 2014 Pittsburgh Pirates optioned RHP Jared Hughes to Indianapolis Indians. April 24, 2014 Indianapolis Indians activated RHP Jared Hughes. April 21, 2014 Pittsburgh Pirates recalled Jared Hughes from Indianapolis Indians. March 25, 2014 Pittsburgh Pirates optioned RHP Jared Hughes to Indianapolis Indians. October 12, 2013 Jared Hughes roster status changed by Pittsburgh Pirates. October 1, 2013 Pittsburgh Pirates reassigned RHP Jared Hughes to the minor leagues. September 3, 2013 Pittsburgh Pirates recalled RHP Jared Hughes from Altoona Curve. August 31, 2013 Pittsburgh Pirates optioned Jared Hughes to Altoona Curve. August 2, 2013 Jared Hughes roster status changed by Pittsburgh Pirates. July 20, 2013 Pittsburgh Pirates sent RHP Jared Hughes on a rehab assignment to Indianapolis Indians. July 17, 2013 Pittsburgh Pirates sent RHP Jared Hughes on a rehab assignment to Altoona Curve. July 14, 2013 Pittsburgh Pirates sent RHP Jared Hughes on a rehab assignment to Indianapolis Indians. July 11, 2013 Pittsburgh Pirates sent RHP Jared Hughes on a rehab assignment to GCL Pirates. June 8, 2013 Pittsburgh Pirates placed RHP Jared Hughes on the 15-day disabled list retroactive to June 6, 2013. Right shoulder inflammation. June 3, 2013 Pittsburgh Pirates recalled RHP Jared Hughes from Indianapolis Indians. May 21, 2013 Pittsburgh Pirates optioned Jared Hughes to Indianapolis Indians. May 17, 2013 Pittsburgh Pirates recalled Jared Hughes from Indianapolis Indians. May 3, 2013 Pittsburgh Pirates optioned Jared Hughes to Indianapolis Indians. August 16, 2012 Pittsburgh Pirates recalled Jared Hughes from Indianapolis Indians. August 12, 2012 Pittsburgh Pirates optioned Jared Hughes to Indianapolis Indians. May 1, 2012 Pittsburgh Pirates recalled Jared Hughes from Indianapolis Indians. April 26, 2012 Pittsburgh Pirates optioned Jared Hughes to Indianapolis Indians. April 25, 2012 Pittsburgh Pirates recalled Jared Hughes from Indianapolis Indians. April 21, 2012 Pittsburgh Pirates optioned Jared Hughes to Indianapolis Indians. September 6, 2011 Pittsburgh Pirates selected the contract of Jared Hughes from Indianapolis Indians. June 10, 2011 Jared Hughes assigned to Indianapolis Indians from Altoona Curve. March 8, 2011 RHP Jared Hughes assigned to Pittsburgh Pirates. January 9, 2010 RHP Jared Hughes assigned to Toros del Este. August 5, 2009 Jared Hughes roster status changed by Altoona Curve. July 27, 2009 sent RHP Jared Hughes on a rehab assignment to GCL Pirates. April 23, 2009 RHP Jared Hughes assigned to Altoona Curve from State College Spikes. April 18, 2009 Jared Hughes assigned to State College Spikes from Altoona Curve.